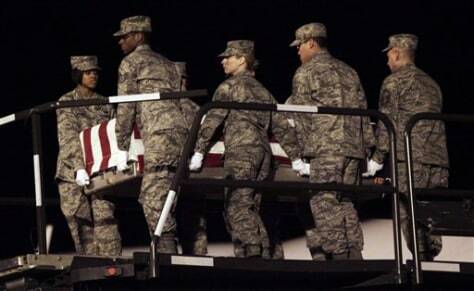 The remains of Air Force Staff Sgt. Phillip Myers, of Hopewell, Va., who was killed Afghanistan on April 4, arrive at Dover Air Force Base, Del., on April 5. Myers was the first casualty to be observed arriving at Dover since the ban on media news coverage of returning war dead was put in place 18 years ago.